1. Where did you first hear about WNS and what made you want to be a part of it? I first heard about Word N Sound at the launch of the Next Generation shows in Melville in 2013. I wanted to be a part of the it because I believed that it was an important platform to start from in building my career in poetry and that it would be a great stage to get on in order to make it into the spoken word industry. 2. Tell us about your first time on the WNS stage. How was the experience? What did you love about it and what did you hate? The first time I was on the WNS stage I was extremely nervous, it was my first slamming experience and I didn’t have an idea of what I was getting myself into, all I could focus on was the tough competition I was faced with. I liked the competition, as it challenged me as writer, forcing me to break into different levels of the art that is poetry. I guess what I hate about it is losing the competition. 3. What has been your most memorable WNS show? The first time I made it into the top 5, my showcase at the Next Generation “Let’s talk homosexuality’’, the 2013 Joburg WNS Festival, the show we had at the Soweto Theatre. The showcase by Megan Godsell. The first Open Mic in 2014 and the Tongue Fu Show on the second episode of the Series in 2014. 4. You are now part of the WNS Committee. What is your role and how has that experience been? I’ve recently been appointed as the Head of Production. I am responsible for looking over every show that is hosted by the WNS. I am yet to learn of the experience, I am looking forward to the challenges and rewards. 5. Name your favourite poems from any of the artists in the All-Stars line up. What is it about that poem that makes it stand out? Elysium Garcia – Church of Assholery: this poem is a reminder that I am not alone, there are more like me, and that brings me comfort. Masai Dabula – What Do You Know About Freedom: I love how this poem because it challenges my thoughts on how I perceive freedom. I appreciate the approach to how he wrote this poem; I’m crazy about the execution, his performance is captivating. In passing during a workshop, ahead of the Drama For Life Regional Final. Nova and I were among the poets competing, and she was answering a question on previous poetry wins. After that, Afurakan took my number at the DFL Finale and invited me to Word N Sound (above Madi’s emphatic protests). I missed the next show, but attended the one after. I guess I wanted to be part of it because I’d seen people raving on Facebook about it being such a nice show, and also having just won Drama For Life, I was still in the mood to slam. It was at the Con Cowan Theatre in the Bunting Road Campus of the University of Johannesburg. It was a nice vibe, nice atmosphere. I remember almost going with a new poem because I felt I owed it to the audience to present new poems each time (I was still very new to this performance poetry thing). Romeo The Poet talked me out of that fortunately in a hurry and I wound up going with “Consequence” and that got me to the Festival. I loved the audience, but I wasn’t a fan of having to pay to perform. (the free mageu was nice though). -Masai storming off stage during his showcase. Won’t forget that in a hurry. -My 1st showcase. I had so much fun, I was walking around in a haze for days afterward. -Harry Baker, what more can I say? -Ex Ka Dubandlela’s debut was awesome, (and considering his entire poem was in Zulu, that’s a big impression to make on a non native Zulu-speaker). -Modise Sekgothe’s showcase. Some background: Once I’m seated in my chair, I have no intention of standing up. I’ll clap or whatever, but I will not stand up. I gave Modise a standing ovation. -If I forget every other moment at WNS, I’ll always remember this: at the second festival, when the order of the top 5 was being announced after we had competed; and my name came up fourth, the crowd went ballistic. They were very vocal in expressing their disappointment (many who came up to me afterwards told me they believed that on the day I had taken it), and that was another kind of victory I suppose. It taught me a little something about winning the hearts of the people. -Purple Jupiter’s debut, they were performing ’17seconds’. It was a thing of beauty. I’m Word N Sound’s Marketing Consultant. The Good – We’re an easy group of people to market. The poets that have graced our stages generally do good work. The team itself is dedicated to the vision of creating an industry that makes poetry and writing a viable career choice, so it’s been rewarding to be part of that vision. Also, we can see clearly that the work we’re doing is getting noticed as we find ourselves in more mainstream spaces and media (I’ve performed at an art gallery opening along with Rennie Alexander; and have been on the TEDx Johannesburg stage as have Conelius Jones, Mandi Vundla, Elysium Garcia, and Vuyelwa Maluleke). The Bad – Living your dreams in a part-time capacity. There really isn’t a full on poetry industry locally. There are a few established poets who are able to make their living herein, but no industry yet. As a result, the work we do is on a volunteer basis, and because food is nice, we all have to have another hustle. The sad reality is that you inevitably work on this thing you love with less than 100% of your energy. It just means we’ll take longer to get there. Also, poets are generally not great when it comes to trying to get administrative stuff out of them. Case in Point – we’re still waiting on some artist bio’s from the last festival. The Challenge – is twofold: Garnering mainstream attention and grooming business-savvy artists. We’re starting to get mainstream recognition as evidenced by appearances on Morning Live, Expresso, & Sunrise. That’s great for poetry, but we need to capitalise on the momentum that this current wave of poetry has been generating since 2011. Taking nothing away from the active participants in the previous eras of poetry, without their efforts we wouldn’t be here, but we do need to learn from past experience and take this artform to a new level. This will require Business Acumen. Artists need to either learn the business principles governing their art or surround themselves by people who do. Or face the reality of being talented and broke. The Reward – Reshaping a landscape. We’re in the privileged position of being at the coalface as the world cottons on to the reality of what contemporary poetry is; and we get to play a part in shaping what it shall become. 5. Name 3 of your favourite poems from any of the artists in the All-Stars line up. What is it about that poem that makes it stand out? Mutle’s – “Message in a Massage” , “I am an Artist” and “Parkinson’s” – What stands out? It’s evident that the research is thorough. He mingles wordplay and imagery to convey a well-thought out message/depiction/scenario. It’s masterful and the dedication is commendable. My 1st time was in September 2008, I performed the poem called “I Lied”, I had chosen it because it is powerful, it’s real and causes curiosity where it’s going. The response was out of this world, “the underdog from PTA” burning up the stage, I just hated that PTA was not well represented in JHB and that was about to change. Too many, I think WNS always tried to out-do itself and every time I’m there, artist give it their best. One is only as good as their last performance right? 4. Name 3 of your favourite poems from any of the artists in the AllStars line up. What is it about that poem that makes it stand out? Mutle – Parkinson, I’ve seen the movie that Mutle drew inspiration from, and his interpretation of the character was on point. That poem will always be remembered as one of his best works whether he likes it or not. Afurakan – Dream, I don’t think this dude realises how powerful that poem is, enough said. These days dreaming the right dream is a privilege. Also, “the U-n-i-verse moves with me”……”A hungry stomach scars the body, but a starving mind murders the spirit”. Andrew Manyika – Make Up, A revolutionary poem, an enlightening piece, truth at it’s best. The calmness of Andrew as he sails through this poem, I think it’s always so well executed and I can never get enough of it. Women should really take this poem to heart. But Andrew has this other poem about the trajectory of a tear, another memorable poem. The Light House on 7th, Melville | 7pm. 4 Seasons, more than 25 Episodes and 375 poems later; the Word N Sound Series has left an indelible mark on the Johannesburg, and South African Poetry scene. One of the major highlights of the Series, is the Open Mic Poetry League, which at the end of every episode, leaves one competitor with the coveted title of King/Queen of the Mic. The inaugural Word N Sound All Stars Show will feature the talents of Afurakan, Andrew Manyika, Mandi Poeffecient Vundla, Mutle Mothibe, Xongani Maluleka, Bonga Ndziweni, KB Kilobyte and Mpho Khosi. This is one for the history books, don’t miss it. Word N Sound Presents aims to showcase exemplary artists, give support to one wo/man shows and offer audiences a show with a shorter format than our regular 6 hour shows. Whether the show is a poetical, 1-man show or poetry & music performance, is left to the artist. The aim, is to allow artists an avenue to present their offering to the audience, prior to (or after) the official launch of any such show; and for the audience to connect with performers whose work they enjoy, and meet artists whose work they may connect with. ‘Rise of the Underdogs’ is a new and exciting platform for emerging and unsigned live music bands to showcase their works to new audiences and re-ignite a culture of live music appreciation in Johannesburg. The monthly events will be hosted at SABC studios which boast world class stage, lighting and sound facilities. The main goal of ‘Rise of the Underdogs’ is to assist emerging or unsigned artists to thrive in the industry, and create a credible performance track record. Showcasing their music to various audiences will also go a long way in helping emerging talent to build a following and even sell their products directly to potential markets. 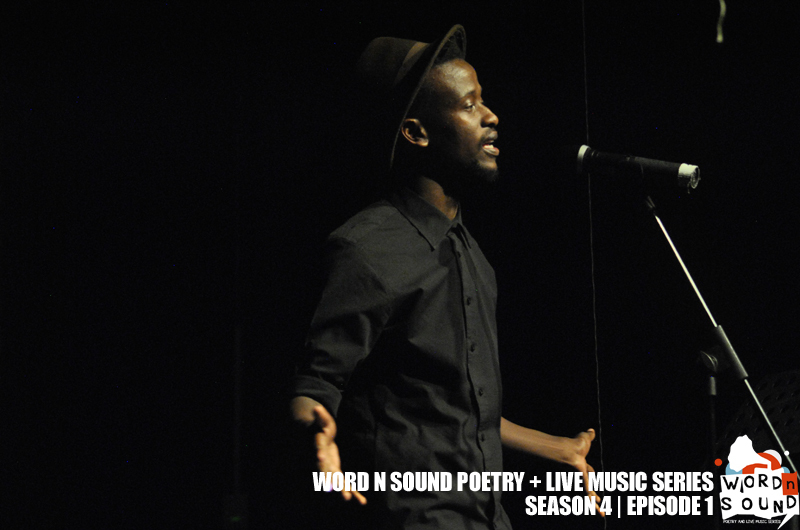 On Thursday we launched our latest show, ‘Word N Sound Presents…’ at Sophiatown Restaurant in Melville. Audiences had the pleasure of experiencing the magic that is Modise Sekgothe. Madd love and respect goes out to this phenomenal artist. Makhosonke El Diego Mlotshwa: And it’s a wrap…beautiful and truly my money’s worth. Ladies and Gentlemen, Modise Sekgothe. Xongani Maluleka: So let’s talk about this man, Modise Sekgothe. Our first main act for WNS Presents.An awesome show he gave us,one performance to always remember. The crowed was mesmerized.His poems are healing, exciting, inspiring, indulging. We have so much to take home with us. Thank you for reminding us why we do this everyday, why we poets voluntarily get on stage strip bare naked to expose our vulnerability,and it’s OK!! Join us at Sophiatown in Melville next month as we host Makhafula Vilakazi. Ahead of his one-man show at the launch of our latest show, ‘Word N Sound Presents…’, Modise Sekgothe took some time to answer Mutle Mothibe’s questions. 1. Tell us 2 questions you wish an interviewer would ask you and answer them? What is your approach to poetry? My approach to poetry is experimental, each and every one of my poems are an attempt, an experiment, either at a different style, theme, subject matter, etc. artist is a combination of two very difficult skills and that is; writing and performance, many good spoken word artists are very good at one and somewhat average at the other. 2. How important is meditation in your life and towards your art? poetry is a meditation in itself thus it only happens and comes to you and through you only when you’re in a certain state or level of consciousness. I’ve recently found however that its always pivotal in the writing, memorisation and rehearsal but not necessarily condusive to performance for me because it makes me too calm and too aware of my surroundings during performance whereas performance requires somewhat of a narrowing of ones force and sensitivity. 3. Tell us your favourite poem from your collection and why that poems stands out for you? Uhm…I love Winters Whimpers man and I feel like people just don’t get it…lol. I just think its beautiful man, I worked so hard on that poem and layered it sooo much, it never bores me, its one of my oldest pieces but still excites me more than most of my newer works. It’s very well written but perhaps not too performance orientated, its one of the most literal (literature) poems I’ve ever written. It’s a literature poem more than it is a spoken word poem. 4. Name 2 of your favourite authors? 5. You’ve acted in theatre productions… Tell us how that experience impacted on your poetry? Yeah…uhm, the theatre influenced my work ethic and my understanding of performance as distinct from writing, its where I learn how to be a performer, where I learn how to bring to life what I put to paper so easily but struggle with a bit on stage. I also learnt that there is an infinite field of layering in what appears to the audience as a 3 dimensional performance and how to tap into that as a performer. I’m still learning man. 6. If you could choose 5 (local or international) poets to work with who would they be? of course there are many more. 7. You recently graduated, If you had to choose between staying on as an artist or going into the field of a practicing psychologist which would you choose and why? Hahaha, the universe chose for me, Im doing poetry and drama full-time now, I wanted to study further and get my Honours but I realised that the only reason I wanted to hold on to the Psychology was because I was afraid of poetry, of not making it…Outside of that fear, nothing makes me happier man, its what I was born to do, write and perform, its who I am. 8. What is one word you struggle to use in your poems and are still waiting for the right instance in which to use it? Lol! gauntlet, its a really nice word but what am I gonna say about a gauntlet? 9.Do you feel as an artist you are paid enough for the efforts you put into your craft? Lol! No…but I’m learning what I need to do in order for things to start happening differently. 10. Please write a haiku about meditation and share it on the Word N Sound series page. Will do! this is the best interview ever! haha…big ups! Hot on the heels of the introduction of three new shows to the ever-expanding roster of Word N Sound events, we take a step back to look at how far we’ve come over the past four years, by handing the stage over to the crop of talent that has taken the Johannesburg poetry landscape by storm since coming to prominence on the Word N Sound stage. It really is gonna be an All-Star weekend. In all this time, and in the aftermath of all these battles and vying for glory, there have been some faces that have stuck with, and become part of the Word N Sound family. Having taken their craft beyond this stage to engage audiences as far afield as Cardiiff, and as quintessentially South African as Cape-Town, some of the stars of these shows return once again to the Word N Sound Stage to give us all a taste of what enabled them to stay the course. The inaugural Word N Sound All Stars Show will feature the talents of Afurakan, Andrew Manyika, Mandi Poeffecient Vundla, Mutle Mothibe, Masai Dabula, Bonga Ndziweni, KB Kilobyte and Mpho Khosi. This is one for the history books, don’t miss it. From the ethereal realm known as the shadows, the Showcase Act of the day will be the winner of the inaugural “Salm for Your Life” competition. Kagiso Tshepe, who has now adopted the moniker “Elysium Garcia”, was a top competitor in the Open Mic Leauge that ran throughout 2013, even making it to the top 5. 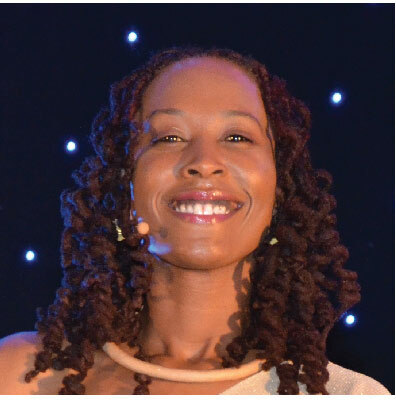 This accomplished writer has been on such stages as the Word N Sound Festival, and TEDx Johannesburg. His poem “Manufacturing Kings” also allowed us a foray into the mind of a poet who also works as a graphical designer. Along with fellow Vaal native Mutle Mothibe, their use of video as a complement to the poetry itself, has begun to open up new possibilities in terms of exploring the two art forms. Elysium Garcia, on the strength of “Manufacturing Kings” was nominated for and won the Word N Sound Perfect Poem Award. So, any show that he headlines is guaranteed to be out of this world. The show happens on the 5th of April from 13:00 at the Market Theatre Laboratory, tickets are sold at the door for R50.00. See you there. Spoken Word & Live Music Revolution grips Jo’burg! ‘Rise Of The Underdogs’, ‘Word N Sound Presents’ and ‘Word N Sound Poetry Corner’ are three new spoken word and live music events that’s are set to add a much needed freshness to the current Johannesburg entertainment landscape. The first instalment of the live music showcase will take place on 30 March at SABC Studio V1A from 2-5pm. Tickets will be sold at the door for R50. 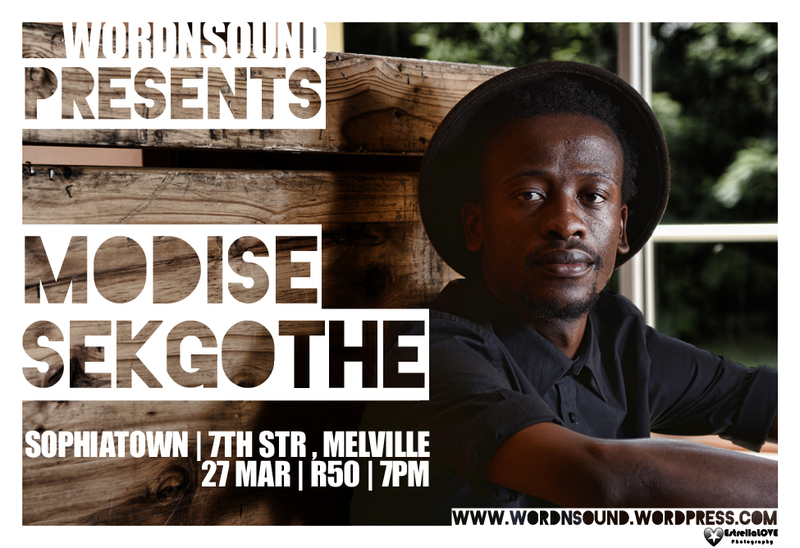 This first edition – “Word N Sound Presents Modise Sekgothe” will take place on March 27th, at Sophiatown Restaurant on 7th Street in Melville. Tickets will be available at the door for only R50.00. Modise Sekgothe, formerly known as “Fragment of da Youniverse”, is a poet, playwright and actor who has previously taken to the Word N Sound stage individually and as part of the ensemble cast of “The Funeral”. He melds his highly visual writing style with a calm, yet finely nuanced delivery to present masterful poetry. So masterful in fact, that Modise was the recipient of the Word N Sound Best Showcase Award at the second Word N Sound Awards. He has also performed at the Izimbongi Poetry Festival, The Word N Sound Festival and presented his play “The Funeral” at POPArt in the Maboneng Precinct. The Poetry Corner brings back a much needed non-competitive open mic platform where budding poets and spoken word enthusiasts can share and appreciate works and voices. As the corner stone of performance development, open mic platforms offer emerging artists the opportunity to perform to a small audience, build confidence and receive worthwhile feedback. The Word N Sound Poetry corner takes place every Wednesday of the month at The Light House on 7th from 7pm. Tickets are available at the door for only R20. While celebrating World Poetry Day this week we have to note that none of what we have today in the form of poetry and the different movements would be here if iyt weren’t for the legends who long paved the way for us. The following 9 legendary poets who have been instrumental in shaping the face of poetry in Southern Africa throughout the years. 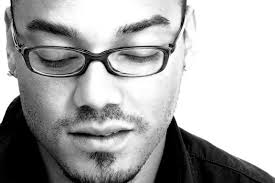 Your contribution to South African Literature and Spoken Word has been inspirational. The work you have invested in and the role you have played is encouraging. Because of you, we are. Jenkins integrates life experience into concise, witty poetry that provokes and inspires. 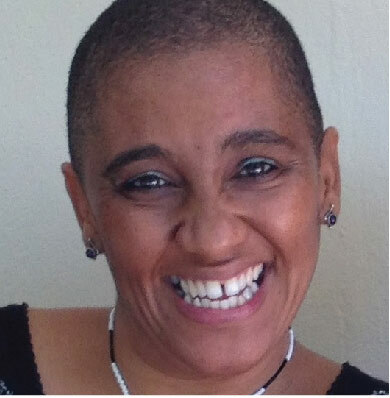 Visible in the Johannesburg poetry scene for the last ten years, she launched her second collection, Dreams of Flight at the UKZN’s International Festival in 2011. Her work has been featured in We are (ed. Natalia Molebatsi, Penguin 2009), Isis X (Botsotso Publishing 2005), and Baobab Journal. She co-founded the all-female, Feela Sistah Spoken Word Collective and Jozi House of Poetry monthly sessions. She also contributed to the Arts for Humanity’s Children’s Rights Exhibit, collaborating with the visual artist, Louise Almond. 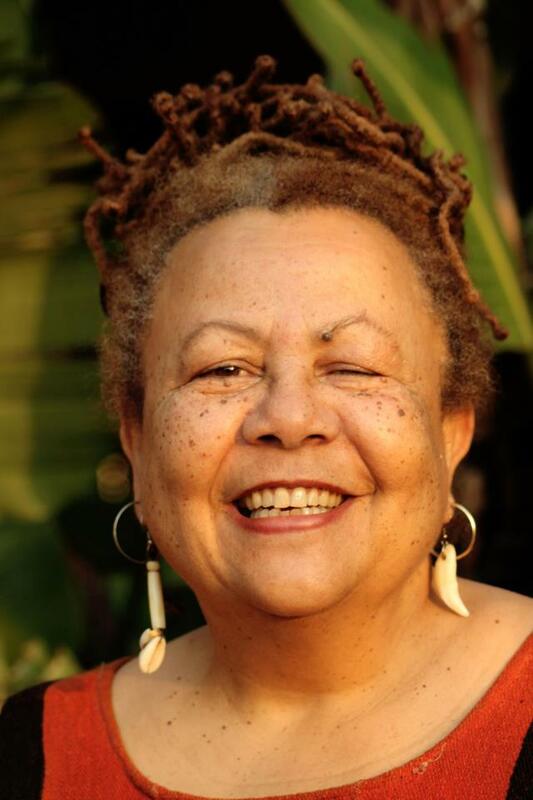 De Villiers wrote for television, taught mime and acted before publishing Taller thanBuildings (self-published) and The Everyday Wife (Modjadji, 2010, winner of the SALA award 2011for best collection of poetry). Her one-woman show, Original Skin, has toured in South Africa and to Germany. She co-edited No Serenity Here, an anthology of African poetry which translated into Mandarin in 2010 in Shanghai, and her poetry and prose appears in local and international journals and anthologies. 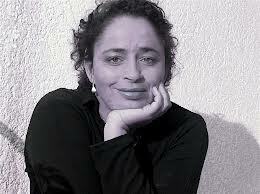 She won the audience award and was the runner-up to the best writer award in Pansa’s 2005 national scriptwriting award, and in 2009 won the Writing beyond the Fringe award (National Arts Festival and Belgian writing organization Het Beschrijf) and was shortlisted for the Pen/Studinski prize in the same year. She is the recipient of the 2012 Overseas Scholarship for studies in Creative Writing at Lancaster University. De Villiers was also chosen as this year’s Commonwealth poet. She read her poem “Courage”, written for the occasion, at Westminster Abbey in front of British royalty for a Commonwealth Day event organized by the Royal Commonwealth Society. Born and raised in Tembisa, Johannesburg, Natalia Molebatsi is a performance poet, writer, workshop facilitator and programme director.Molebatsi has performed in South Africa, Senegal, Italy, Zimbabwe, Holland, Kenya, Nigeria, Azerbaijan and England. She has performed alongside Alice Walker, Jayne Cortez, Zakes Mda, Myesha Jenkins, Lebo Mashile, Sindiwe Magona, Napo Masheane and Simphiwe Dana, among others.In 2009, Molebatsi performed at the Women in Africa and the African Diaspora (WAAD) International Conference in Abuja, Nigeria. That same year, she also appeared widely in Italy, where she performed at the Mantova International Literature Festival, Calendidonna Women’s Festival, Genoa International Poetry Festival, Firenze (Florence) International Poetry Festival and Sunsplash International Reggae Festival.Molebatsi was the host of ‘Evening with Alice Walker’ at the State Theatre in 2010. This was also the year that she made her debut at the Poetry Africa festival, where she was part of the main programme of poets. Her most recent performances include the Mangaung African Cultural Festival in Bloemfontein, Night of the Poets at State Theatre, as well as representing South Africa as part of the cultural events programme during the London Olympics. Malika Ndlovu is an internationally published South African poet, playwright and performer whose poetry and plays have appeared on stages across South Africa and throughout the globe, including countries like Austria, Uganda, the United States and the United Kingdom. 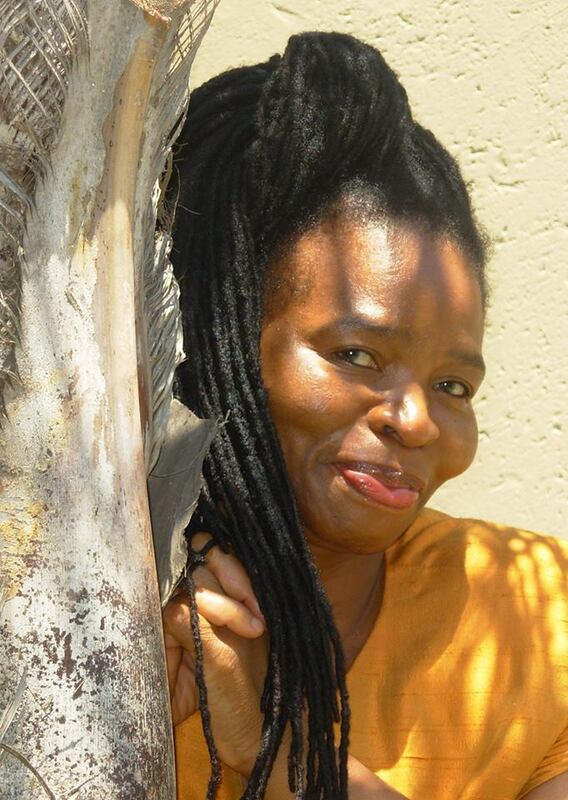 With a Degree in Performing Arts and Diplomas in Arts Administration and Advanced Theatre Research, she has a career spanning 18 years in the arts and arts management arena.As a poet, Ndlovu is the author of numerous publications including Born in Africa But (1999), Womb to World: A Labour of Love (2001), Truth is both Spirit and Flesh (2008) and a poetic memoir entitled Invisible Earthquake: a Woman’s Journal through Stillbirth (2009). She has also written two published plays titled A Coloured Place (1998) and Sister Breyani (2010).Between 2007 and 2010, Ndlovu worked as a project manager for the Badilisha Poetry X-Change, an international poetry festival. She is currently guest curator and presenter for BadilishaPoetry. com, which is a unique African poetry podcasting platform..
D’Abdon is a writer, scholar, editor and translator. 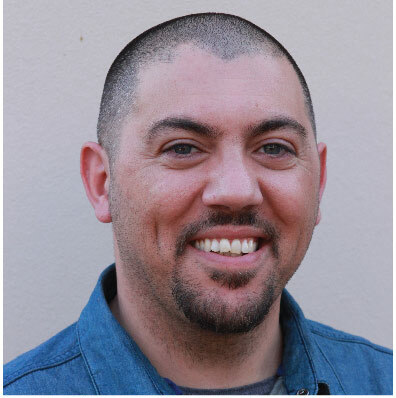 He holds a PhD in Linguistics and Literary Studies from the University of Udine (Italy) and is currently a Postdoctoral Fellow at the English Studies Department of UNISA. D’Abdon has read his poetry in Italy, Nigeria, South Africa and the United States, where he chaired a session on ‘spoken word and literature’ at the 2011 Chinua Achebe Colloquium, a conference that hosted poets such as Jayne Cortez, Sonia Sanchez, Yusef Komunyakaa and Prof. Achebe himself.D’Abdon has published articles, essays, translations, interviews, short stories and poems in several volumes and journals. He also edited I nostri semi/Peo tsa rona, an anthology of South African spoken word poetry. 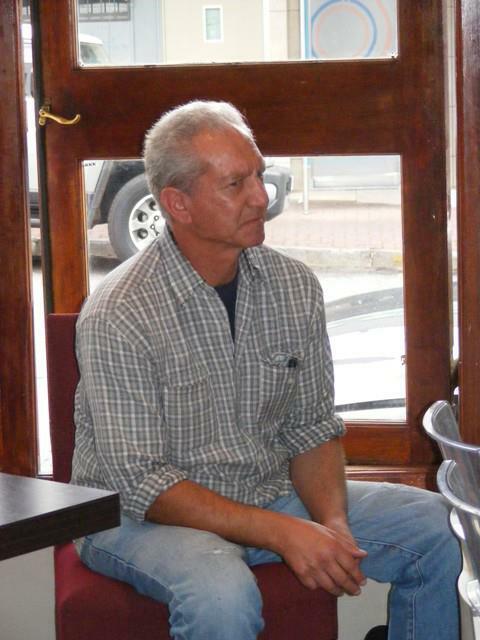 Horwitz was born in Vryburg in 1952 and grew up in Cape Town where he studied political philosophy and literature. Between 1974 and 1985 he lived in the Middle East, Europe and North America, returning to South Africa in 1986. Since then he has worked in the trade union and social housing movements as an organizer and educator. He currently lives in Johannesburg and is the coordinator of the Botsotso Jesters, a poetry performance group, and of Botsotso Publishing. His first book of poems Call from the Free State was published in 1979. Substantial selections of his poetry have been included in We Jive Like This and Dirty Washing, featuring the Botsotso Jesters, Essential Things (COSAW) and Throbbing Ink (Timbila,). Editor of the men’s business and lifestyle magazine, DESTINY Man, Kojo Baffoe is an editor, writer, poet and entrepreneur with origins in Ghana and Germany, raised in Lesotho, and based in Johannesburg. Kojo has been involved in the poetry / spoken word movement in Southern Africa for last 10+ years erratically; has published two collections of poetry; and been featured in publications in South Africa, Canada and Brazil.He has performed extensively, highlights of which include touring the UK with the Hammer & Tongue Poetry Slam Tour, Urban Voices, Arts Alive Speak Your Mind and Poetry Africa SlamJam. He has written for and performed at corporate events and shows and has facilitated workshops and functions.He speaks on a range of topics including Re-defining Success, Getting Back To Basics, Finding Purpose and Fatherhood. He is poet laureate for Gordon Institute of Business Science, was founding editor of Blaque Magazine, has written for a range of publications including as a columnist (2009 – 2011) for City Press’ lifestyle supplement, 7, is an avid blogger and loves social media. Daddy Ramps is a poet, novelist and playwright, who came to prominence in the 1980s, a turbulent period in South Africa’s history. Born in Orlando West, Soweto, in Johannesburg, he studied law, but has not followed this path any further. 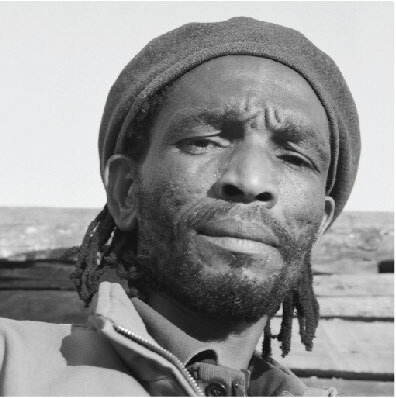 Rampolokeng’s poetry often challenges the established order, with some critics comparing his confrontational style to that of late Zimbabwean poet and novelist, Dambudzo Macherera. Rampolokeng’s first poetry offering was Horns for Hondo, published in 1991. This was followed by End Beginnings in 1993. Among others, his works of poetry and prose include Talking Rain (1993), Rap Master Supreme – Word Bomber in the Extreme (1997), The Bavino Sermons (1999) and more recently, Head on Fire (2012).